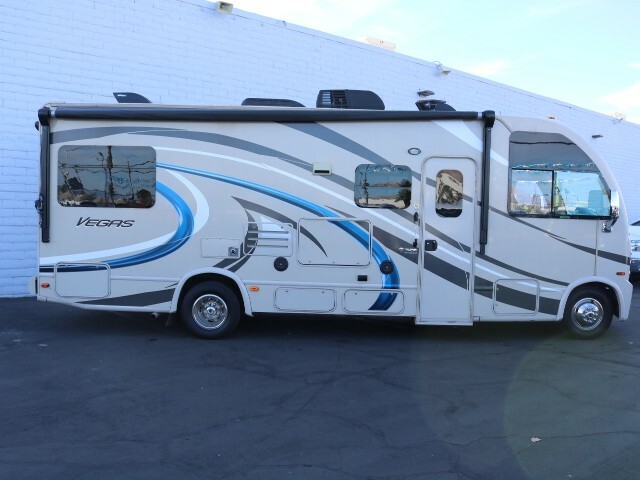 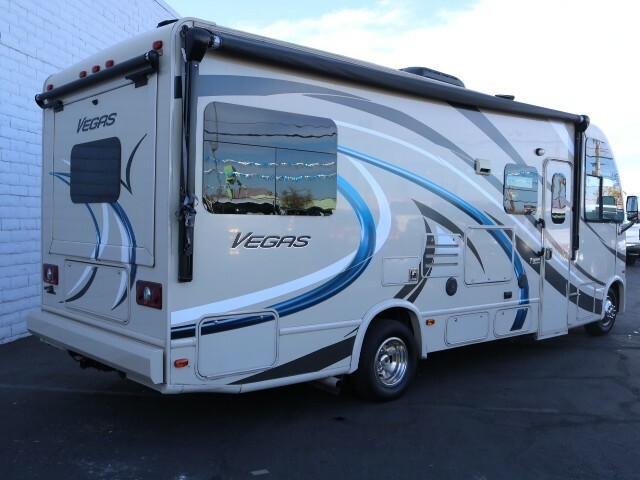 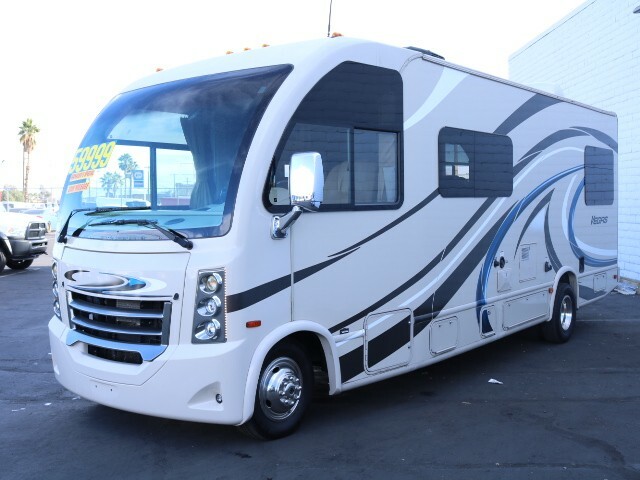 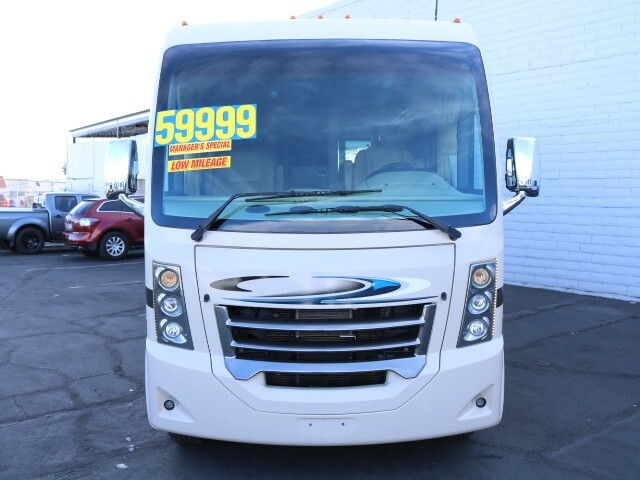 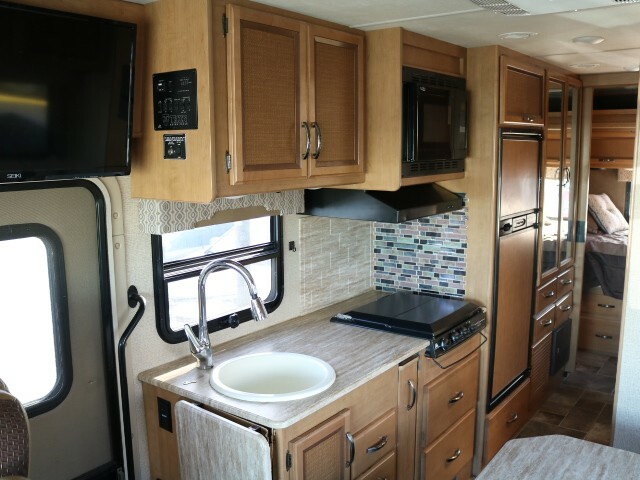 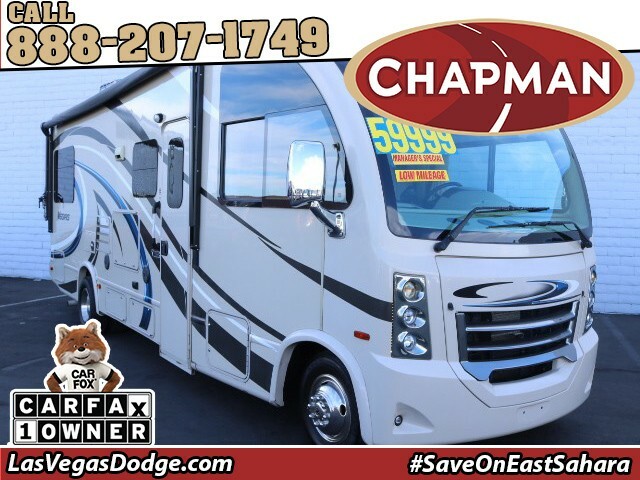 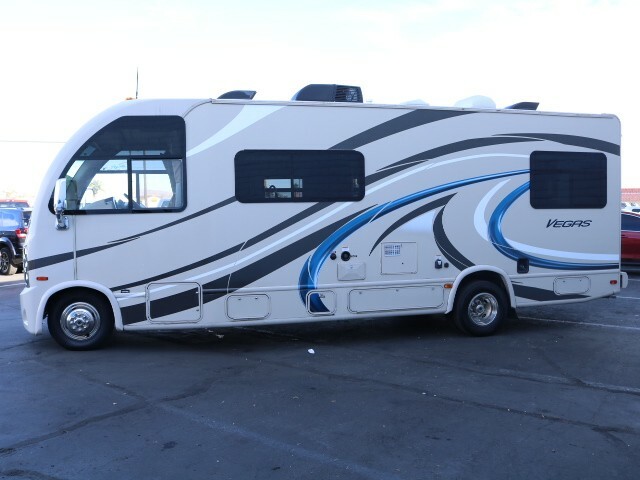 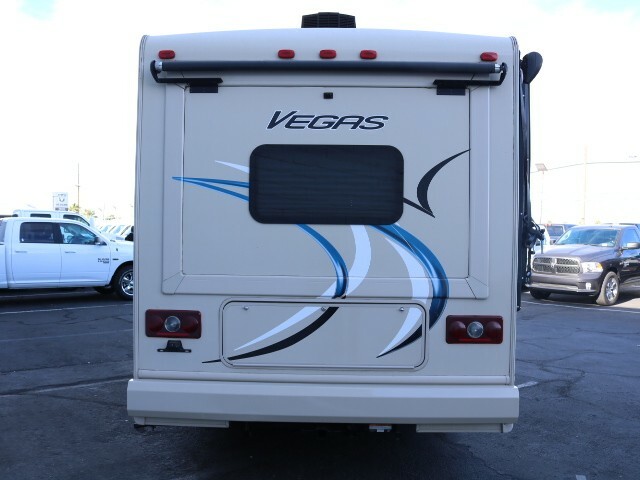 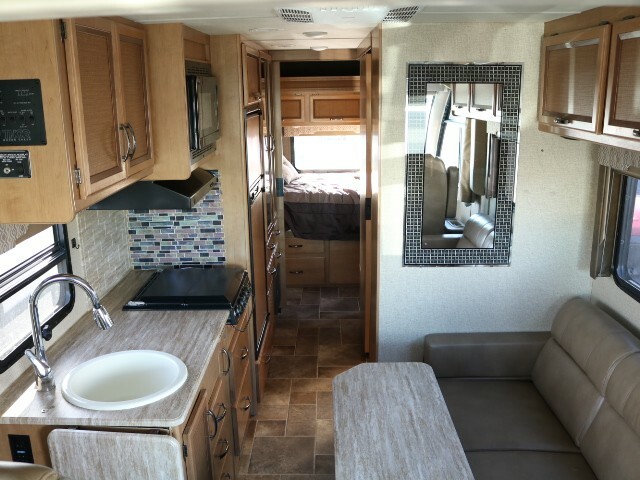 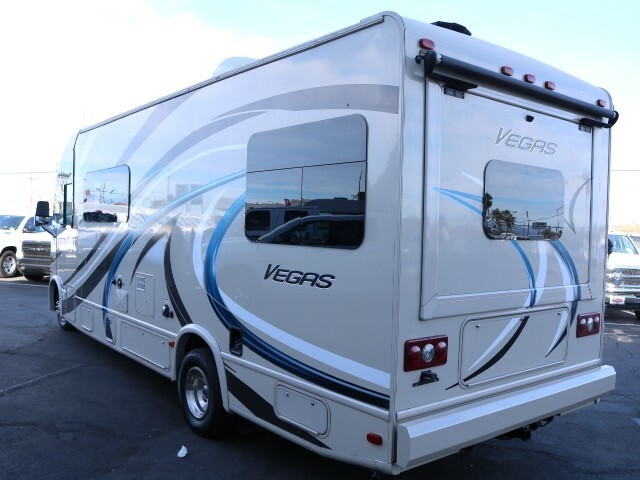 The Vegas RUV by Thor Motor Coach features all of the amenities that make traveling so much fun in a compact class A gas motor home. 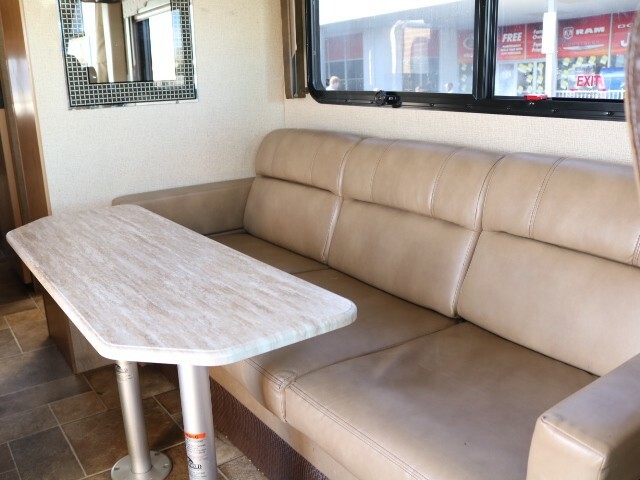 Enjoy interior features like Bluetooth coach radio, leatherette furniture, and a power drop down overhead bunk with Cotton Cloud mattress. 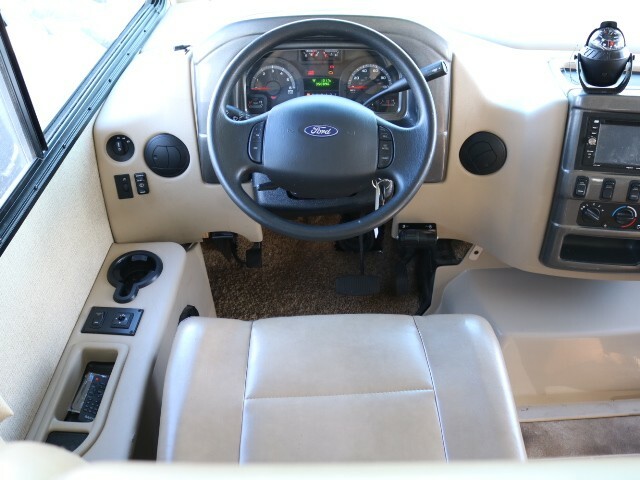 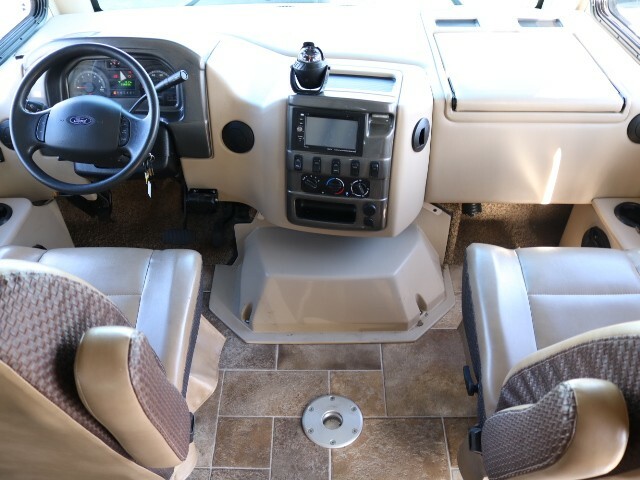 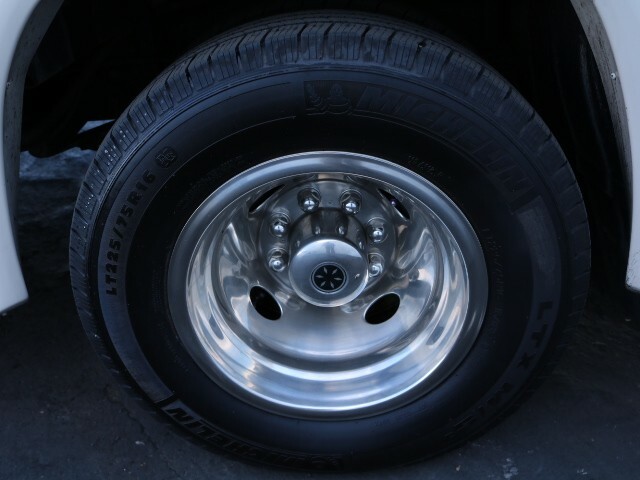 Exterior features include a lighted step well, exterior 32” LED TV, and a powerful 6.8 Liter Triton V10 engine.